We’re back, and boy do we have a fantastic episode for you! First off, our time traveling trio tackles some breaking Doctor Who news about a once lost Patrick Troughton serial. Then, in EVERYTHING CHANGES, we discuss the TORCHWOOD episode entitled “Ghost Machine”(S01E03). Then, we have the remaining eight Doctor’s battle it out to see who will make it to the semi-finals in our COSTUME SHOWDOWN! Were the battles easier this time around, or has it gotten harder to decided which Doctor is the best dressed? After that, Mike traveled down to Geeky Teas for a very special interview with shop owner Donna! 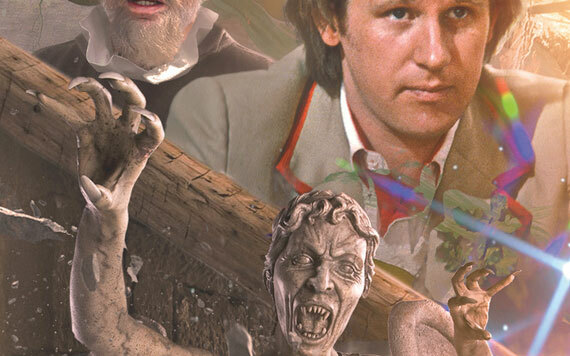 In our Big Finish segment, FINISH AT THE FINISH, we ventured back to 1511 to hang out with the Weeping Angels and Michelangelo in “Fallen Angels”!